Wow, Wilson - what a big mirror you are. All the better for creating a dramatic atmosphere. Our oversized Wilson mirror looks great leaning against a wall all relaxed. And can be wall-mounted, too. Stripped-back but still striking. That's Wilson. Choose natural wood if you’re all about the Scandi vibes - or go for black for a more urban finish. 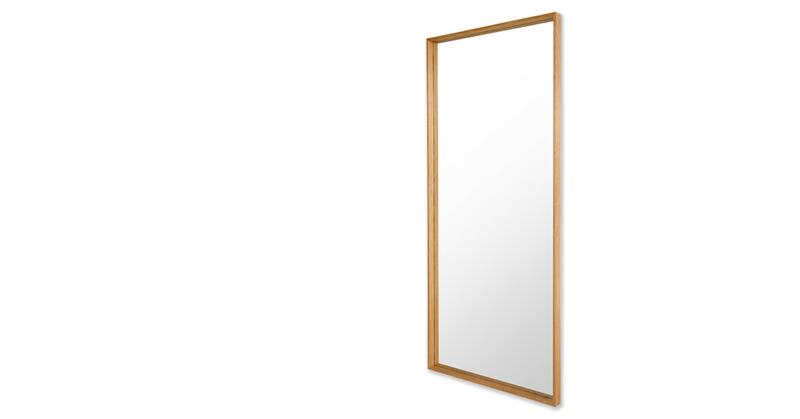 Designed exclusively for MADE.COM, the Wilson mirrors boast a solid oak frame in a range of finishes and a deep-set mirror for a quality look.